This unique birth register has been compiled from Baptismal and Parish records exclusively for Genealogy Ebooks. 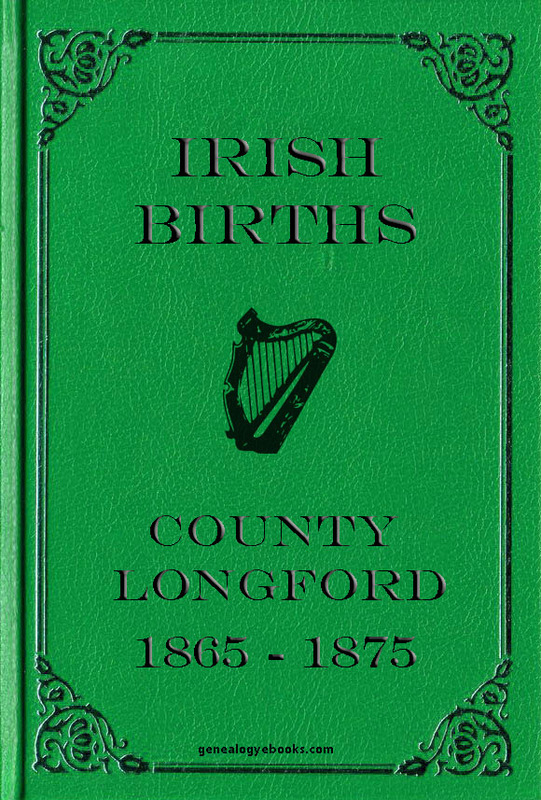 This never before published register holds the names of 28,563 people born in County Longford between 1865 and 1875. County Longford is part of the Midlands Region and is in the province of Leinster. It is named after the town of Longford. With an area of 1,091 km2 (421 sq mi), Longford is the fourth smallest of the 32 counties in area and second smallest in terms of population. It is also the fourth smallest of Leinster’s 12 counties by size and smallest by population. It borders counties Cavan to the northeast, Westmeath to the east and southeast, Roscommon to the west and southwest and Leitrim to the northwest. 2 Merchant Seaman's Crew List Ireland 1851 Part 1. Merchant Seaman's Crew List Ireland 1851 Part 1.